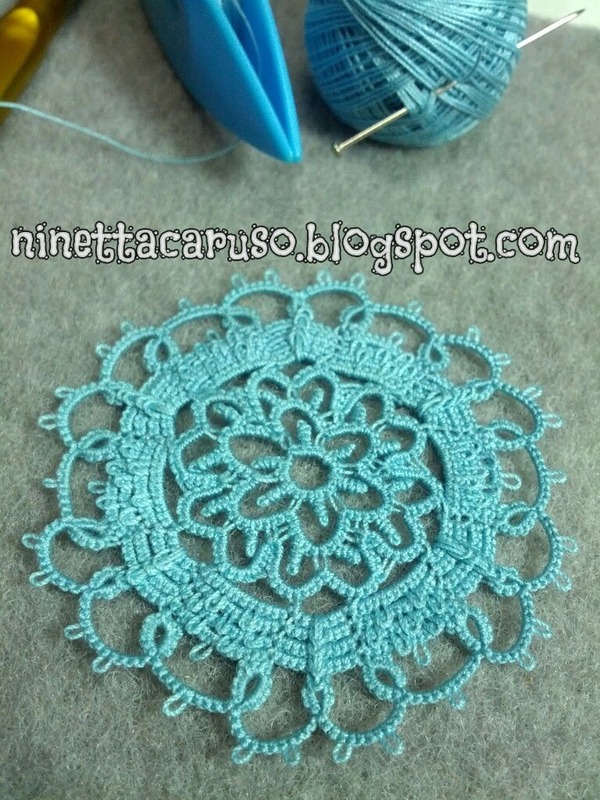 I absolutely love venetian needle lace but I can't do it. 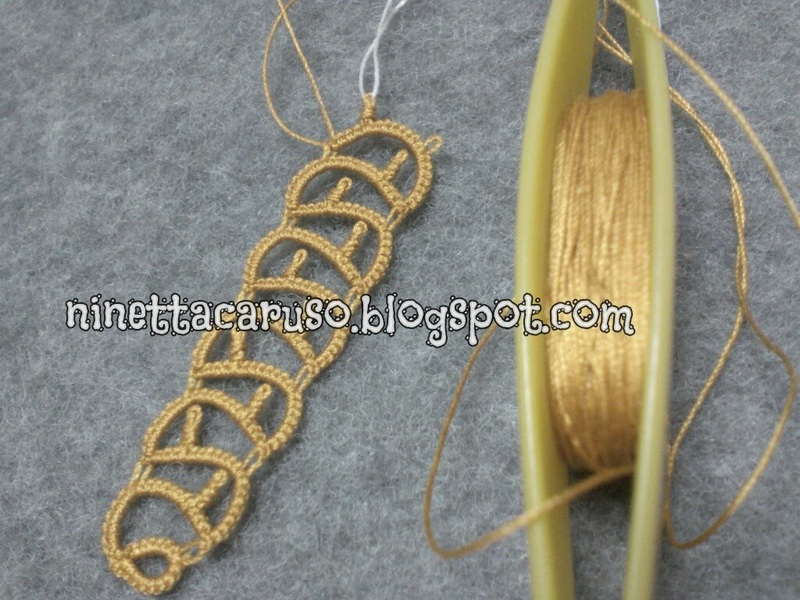 If you feel ready to get amazing inspirations, you may follow this blog: Merletto Veneziano by Ombretta Panese. I tried to film myself but I need more time to have a video good enough for youtube. You see I couldn't resist to buy the reprint of Palliser's, for only 4,32 euro. And I also bought that one by Alicja Kwartnik, "Bordi con il chiacchierino ad ago", a gift for a friend, new tatter (hurray!). Another 2 books that I bought in the last few weeks: one is another reprinted old book and the other is new and very interesting, by Alessandra Caputo (her site is Merletto Italiano) "Il baule di Angelina". 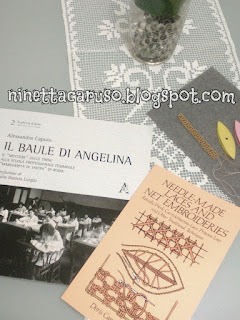 It is about how Alessandra received a chest full of old sets of samples, bobbin lace and needle lace, belonged to a lady who used to teach in a female professional school in Rome, and that lucky, fortuitous finding was the great opportunity for her to study the lace and the history of the school from the last years of the XIX century till about our days. Great job!!!! Can't wait for your video. 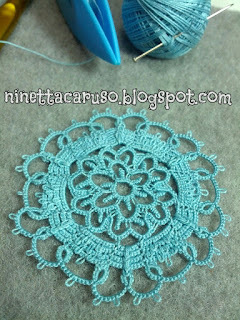 The Venetian lace does look pretty, but maybe difficult to make... Maybe one day you will try to learn it if you do like it so much. 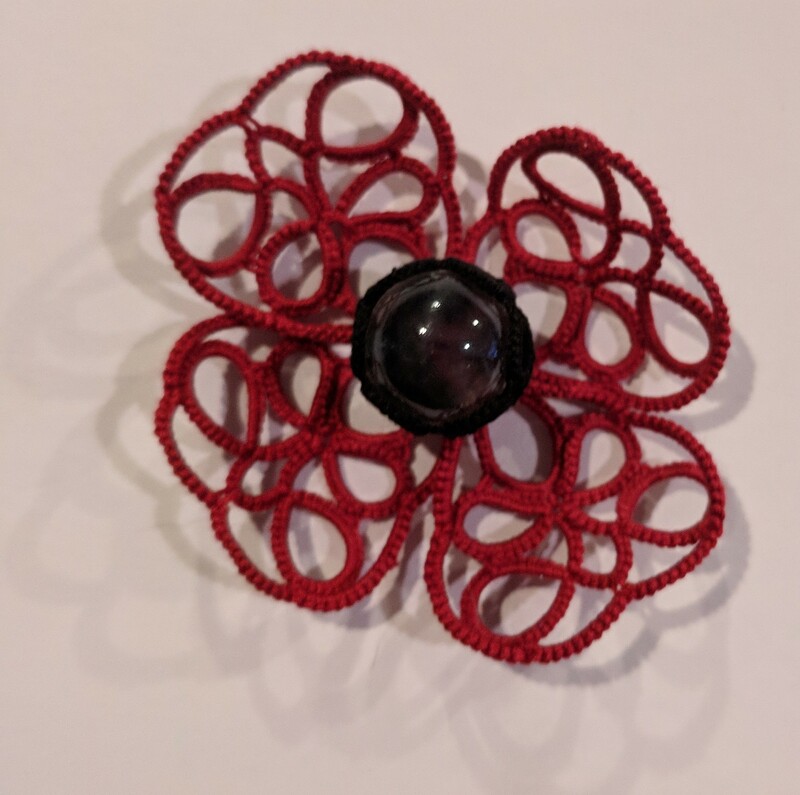 I am 'officially' adding another title to the Hiding Lady - The Picot Lady!!! 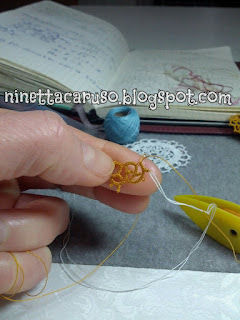 Lovely picots & a nice application to dead end chains (if I have understood it correctly). 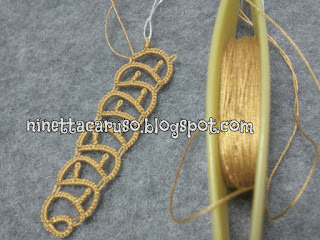 For an easier working one could use the floating twisted picots, too. And your decorative lock join through those picots is superb ! Gives a crochet effect. Great job! Waiting for video. Can't wait to see this new idea in action! Thank you for sharing. .... scusa non ho finito il commento. 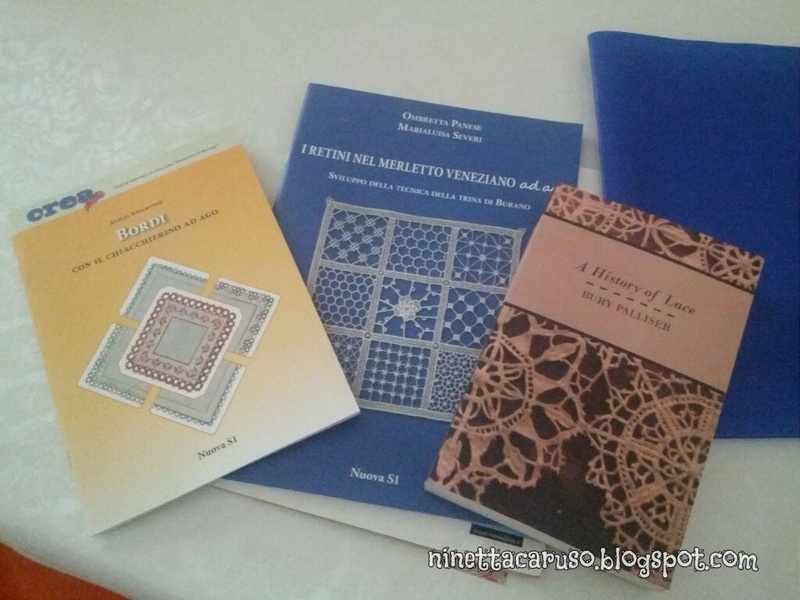 Se hai bisogno di chiarimenti o se qualcosa non ti è chiaro nel nostro libro mandami una mail, cercherò di aiutarti. Ninetta the link you shared was marvelous. Just now I saw it in detail. Hello Lenka, nice to hear from you again! 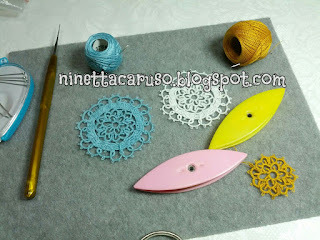 Thank you for your comment, can't wait to see your tatting.